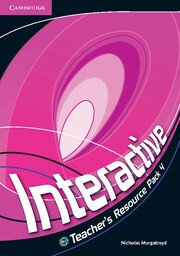 American English in Mind Level 4 Student's Book with DVD-ROM features 16 units. 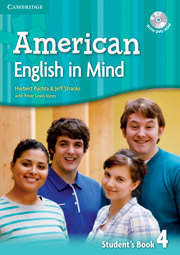 Thought-provoking reading, listening, speaking, and writing topics motivate teenage students of American English. Content-rich photostories and dialogues present contemporary spoken American English in realistic contexts. 'Culture in mind' sections give insight into different aspects of English-speaking life. 'Check your progress' sections help students monitor their learning.